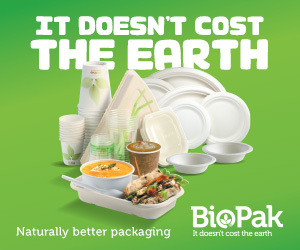 Disposable Food Packaging, What’s safe? Not all packaging are suitable for food, when preparing and packaging food insure that the packaging product you use are suitable for food packaging. Only use food packaging material that is fit for its intended purpose: Eg When using disposable paper cups for hot beverage such as coffee, tea, and soups, use paper cups that are suitable for hot items and apply with food packaging certification. This prevent any materials from the packaging to not likely cause food contamination. Selecting the correct packaging item for food ensure there is no likelihood that the food may become contaminated during the packaging process. What are the risk associated with food packaging? Food packaging can contaminate food during the packaging process, ensure that area of preparation is hygienic clean and sanitised. Always use unbroken undamaged food packaging and ensure they are sealed, unbroken as opened damage food packaging can cause harmful microorganisms entering the food. Chemicals can leach from some food packaging under certain conditions. Things that can affect leaching into food include. Whether the packaging has direct or indirect contact with food. Type of food (e.g. some packaging is unsuitable for oily or acidic foods). Storage conditions (e.g. time, temperature, humidity). Whether the food will be microwaved or heated in the packaging. Cleaning and sanitising the packaging for reuse. Use of recycled materials for packaging. Use only food-safe packaging products that are clean, undamaged and buy from a reputable suppliers. Cheaper low quaintly food packaging may not meet the food industry standard guideline or manufactured in uncertified, unhygienic environments, not safe for food. Also check the packaging is suitable for the type of food you’re intending to pack, check that packaging item, brand, manufacture, and materials meets certification and are food safe. Wholesale Direct Restaurant Supplies stock up food packaging from reputable trusted brands specifically for the food and retail industries. We ensure that all food packaging meets the food standards of Australia. Shop food packaging for your food packing needs HERE!